Oddly enough, my pressing of Light of Worlds has two tracks out of order. B3 - Higher Plane and A1 - Street Corner Symphony have been switched, so that Higher Plane is A1, etc. I've never seen anything like that before. The CD with matrix "314 532 194-2 01% A" and "MADE IN USA BY PMDC" has tracks 6-9 in mono. The CD with matrix "314 532 1942R1 39% F" and "MADE IN USA BY EDC" has tracks 6-9 in stereo. 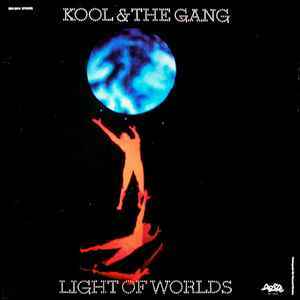 Kool And The Gang is well knowed by their funk hits in the 70's. Well, most of the funk in "Light Of Words" fails to impress: cuts like "Fruitman" or "Rhyme Tyme People" sounds like some previous songs of the Band, to be honestly. But then, comes the "spiritual" side of their music. Sincerely, a song like "Summer Madness" worths the whole album: It is one of the best tracks ever recorded in musical history, and i'm not joking. It's very serious stuff. And there is also some songs in the same mood of that masterpiece to make the album a little better. But is not the finest release from Kool & The Gang. They can do a lot better. But this is another side of their music. A very melodic side.